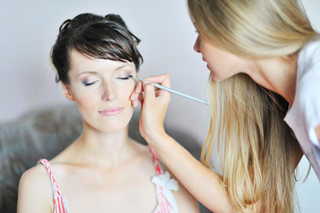 Makeup how to choose Bridal perfect makeup for your wedding day tips beauty and wellness online with new products and recipes for new fashion bride and news look. Make up bridal how to choose perfect makeup for wedding makeup delicate, that enhances the nuances of the face is the one that comes closest to perfection. “There is but you can not see!” And ‘This is the sentence that must identify the bride’s makeup in the big day! The bride will be the center of attention and everyone will ask, “as was the bride.” So pay attention to the trick! First, as with all things relating to marriage, you need to prepare before! Begin to prepare your skin for some time before! Take a nice facial cleansing in the morning and hydrated the skin of the face and used some cream that removes the sebum of the night, the night clean skin from makeup residue! Choose a professional, an esthetician you truccherà that day is also important from the psychological point of view! It ‘an hour dedicated to you, allowing you, too, to defuse the anxiety! The general advice that we would like to give to brides is not to dare ever too! The wedding day will be immortalized in so many photos, make yourself recognizable as close to what you every day! It ‘sa special day, it is true, but too much will make you dare only other forever! 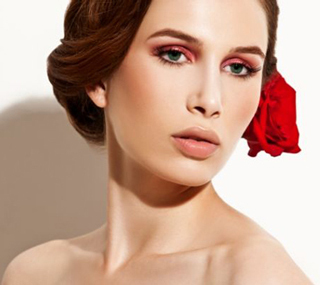 A gentle makeup, which brings out the nuances of the face is the one that comes closest to perfection. Wishing you could venture a bit with some rhinestones, but we do not recommend it highly enough! 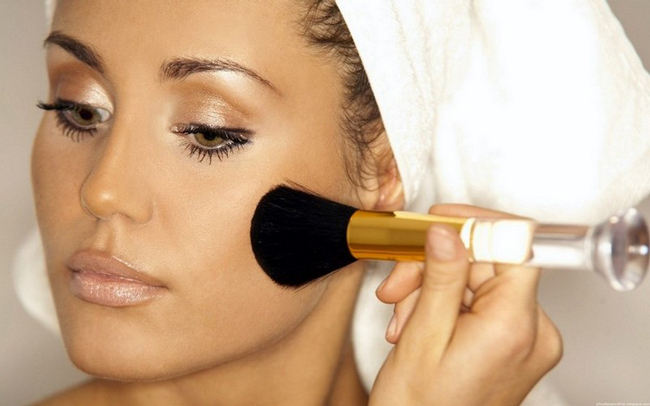 Important points will be the light that will derive the makeup on your face and decolletage! Rely on her, but give her a guideline on what you want and what you like, she will advise you. The eye shadow should recall your tones and colors, as well as the foundation not too much darker than your natural color! The photos retract, so, for yourselves and not a different image and unusual and whenever you will watch the pictures, you will know! You can find more articles, with tips and details on our beauty and wellness category. Therefore following and sharing all our contents by links ; in essence with Follow: on our Twitter, then on our Google+, on our Pinterest boards, or like and share on Facebook thank you for choosing this site and good navigation.